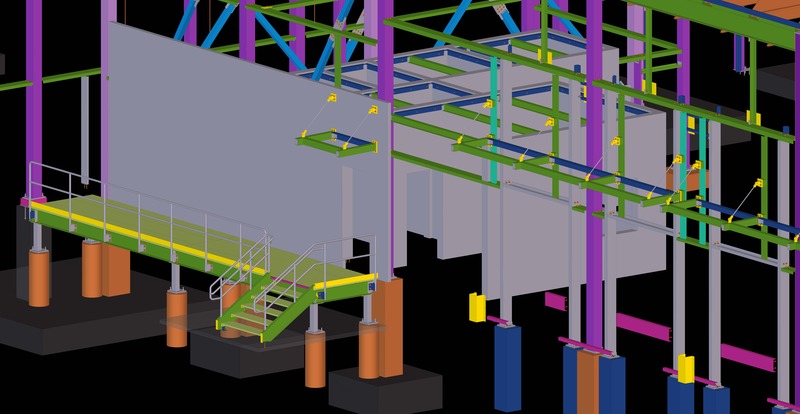 JPW has 7 onsite detailers to produce shop drawings for everything using the most advanced software available. 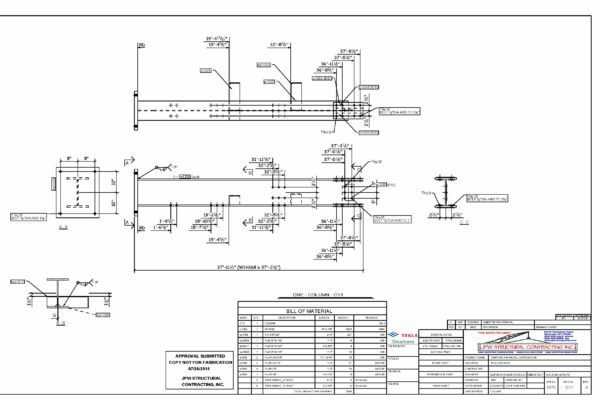 Using the latest software allows us to create drawings for every part we fabricate in half the amount of time compared to conventional detailing programs. 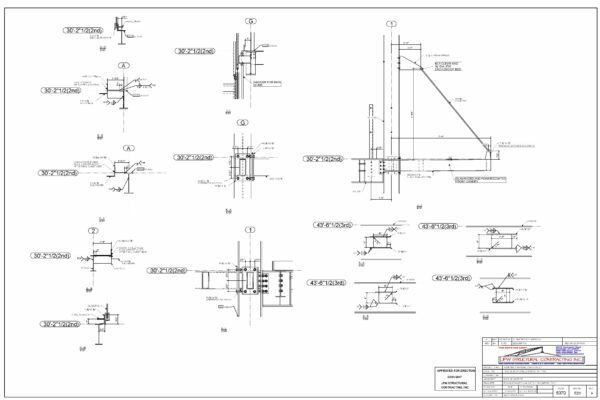 The software also has the ability to download fabrication files for each of our various cutting tables, pipe benders, waterjets, beam lines and CNC Mills. 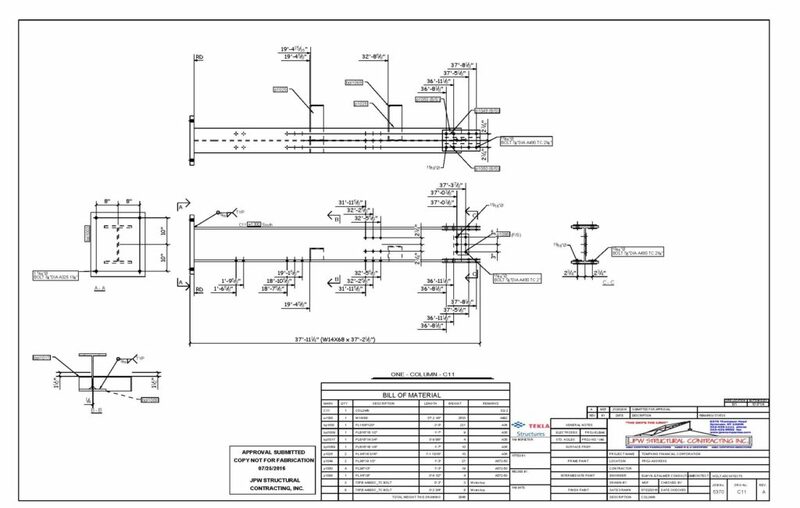 This approach streamlines the fabrication process and eliminates potential errors. 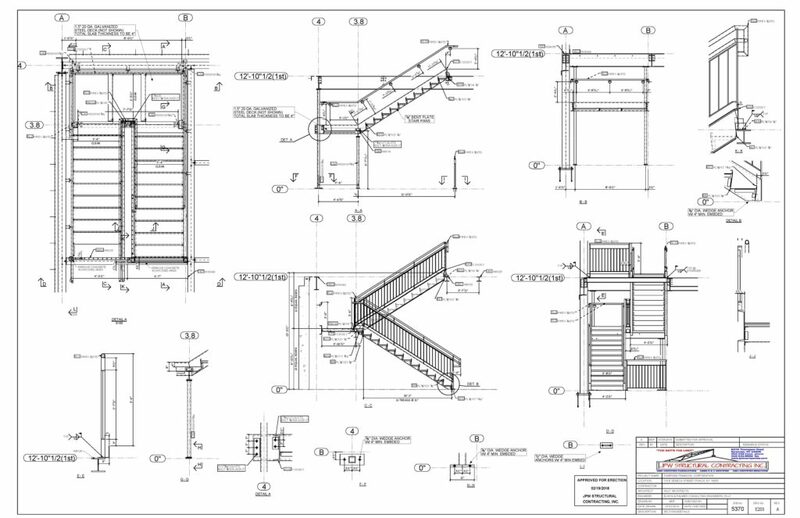 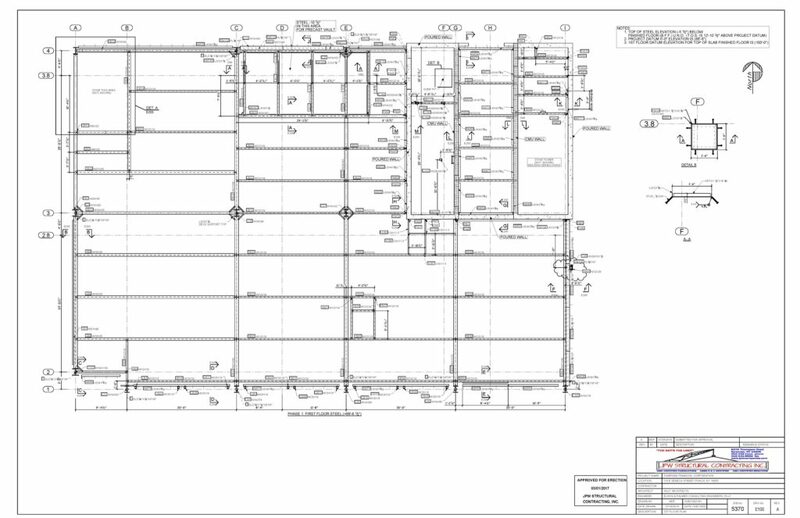 Customers will often produce Structural Steel or Architectural drawings to our detailers. 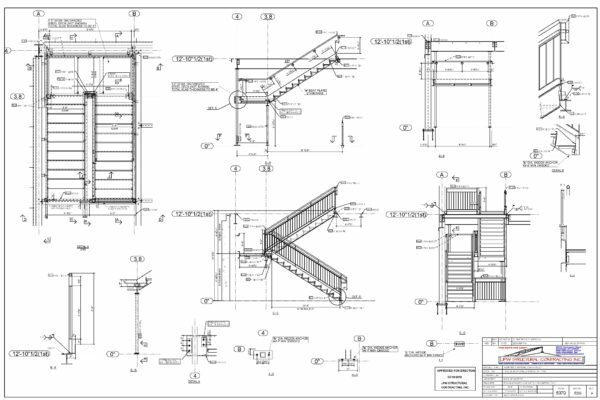 From those we create shop drawings and erection plans to help every project reach the desired outcome required by the customer. 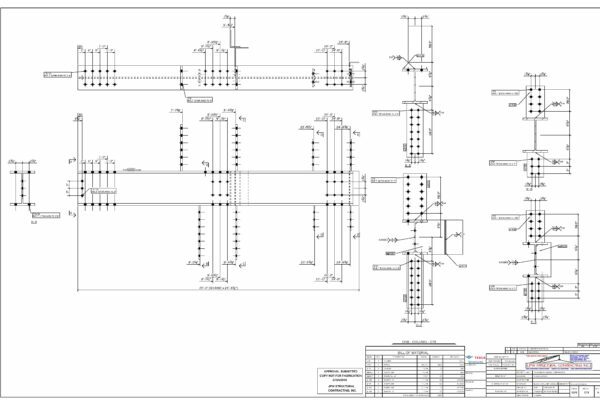 Every beam, column, plate, or a piece of angle has a specific shop drawing developed for fabrication, and with the advent of 3D software, it is easier than ever to find and eliminate potential problems before they ever rise out on the job site. 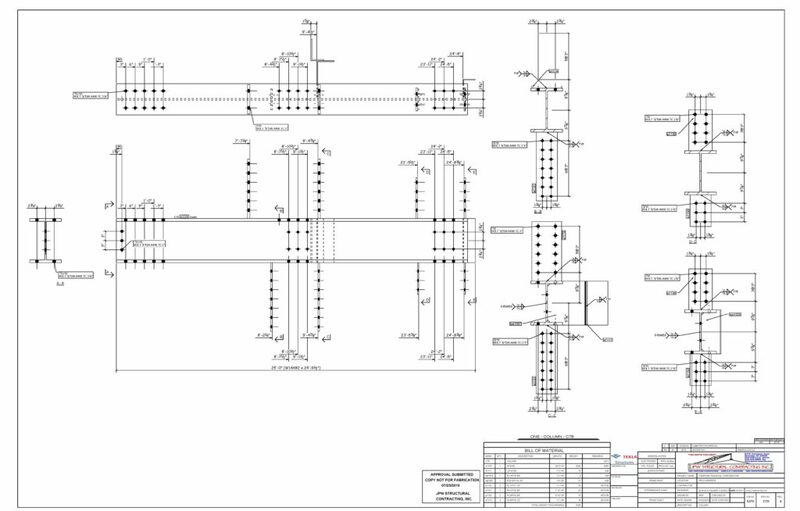 JPW utilizes multiple connection design programs to aid in the design and calculations of complex connections. 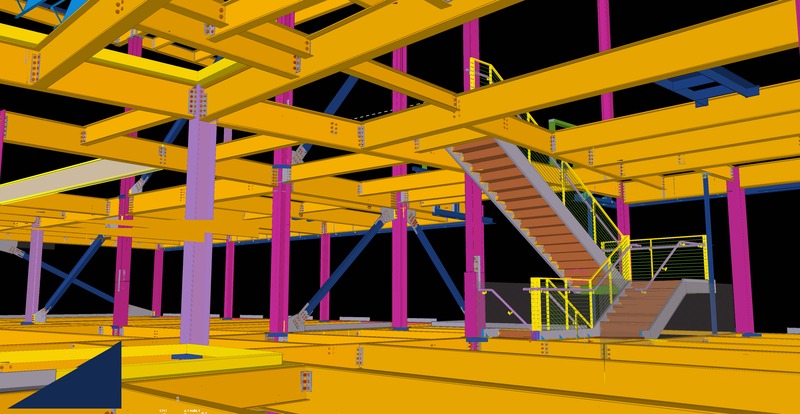 A few of these programs include RAM Elements as well as Autodesk Simulation which FEA analysis is performed with. 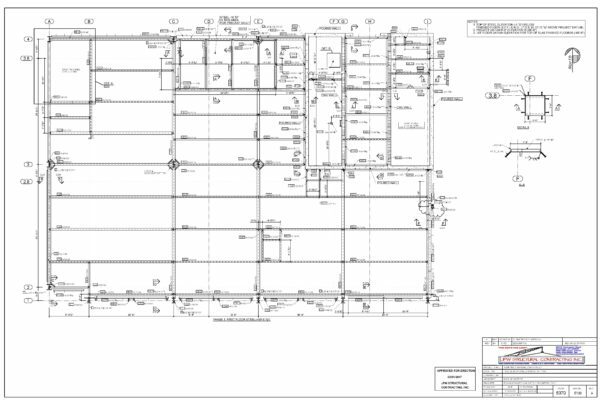 JPW also has an in house P.E. 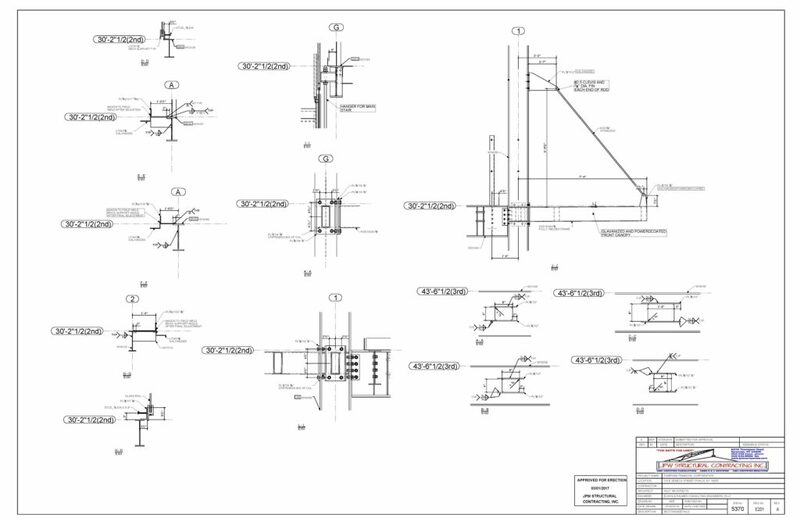 With our in house P.E. 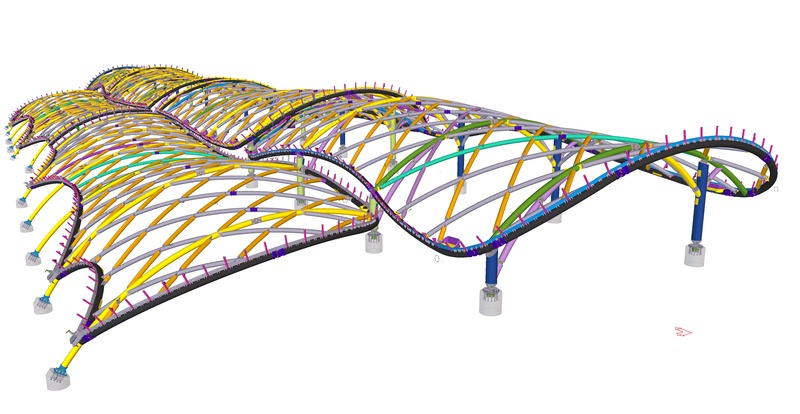 we can make quick work of connection design which speeds up the detailing process.